News of a massive data breach hit Facebook hard last week. Shares are at their lowest since July 2017. Baird and Co. analyst Colin Sebastian says usage metrics are down, coinciding with the breach. Watch Facebook in rel time here. 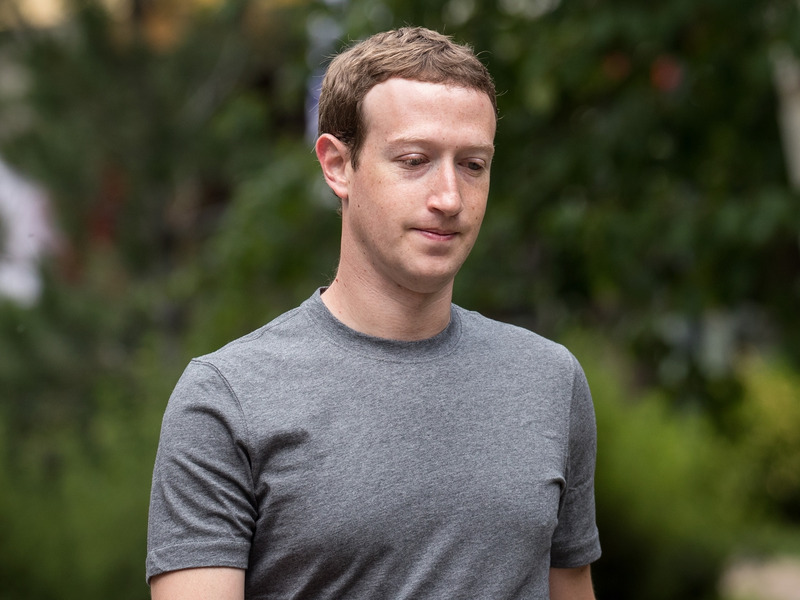 Facebook users are becoming increasingly less enthusiastic about the platform, according to a survey conducted by Baird and Co. following the news of political research firm Cambridge Analytica’s hack into 50 million user accounts. 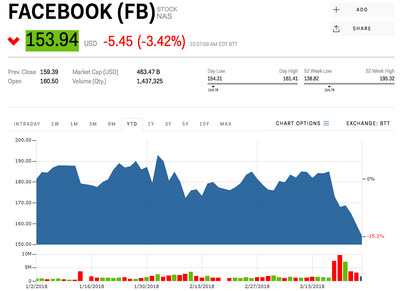 In a note to clients sent out Monday, Baird analyst Colin Sebastian said while there is no evidence of users deleting their accounts, Facebook usage metrics are looking shaky. “Our latest survey indicates some additional decline in usage/engagement, particularly among younger demographics, coinciding with recent headlines around data privacy,” Sebastian wrote. 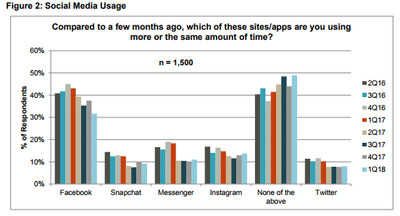 Baird’s survey asked users which platforms they are using more or the same amount of time. Facebook was the sharpest decliner in the survey. This visual shows how Facebook’s decline in favorability. “In our survey, 32% of respondents indicated stable/increasing Facebook usage in 1Q18, down from 38% in 4Q17 and 43% in 1Q17),” the note said. “Among respondents age 25-34, Instagram showed the largest sequential uptick in favourable responses (27% indicated stable/growing usage vs. 19% in 4Q17), which supports the view that younger cohorts abandoning the core Facebook app are likely shifting usage to other Facebook-owned properties,” Sebastian added. And while there is some evidence advertisers are pulling back on spending, he thinks that will be “short lived” because of Facebook’s dominant share of internet users. “There are few channels available that can match Facebook’s return on ad spend,” he said. Facebook shares are down more than 18% since news of the breach broke.